Ah, the vehicle magnets. These were a great idea by whomever invented them, unfortunately it was not us but we thank them anyway. A car magnet is a great way to advertise on your vehicle, and why not, you drive around all day. Why not use that time driving as another way of advertising, with traffic these days, I’m sure a lot of people will see them. 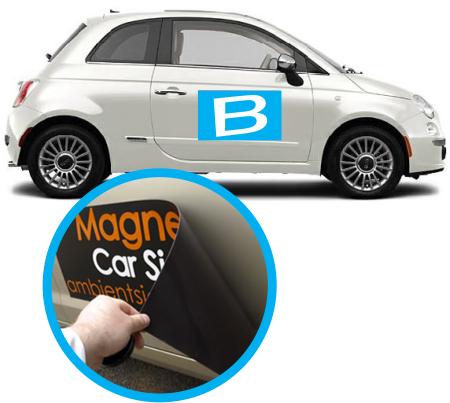 Car magnets come in various sizes and we recommend you double check your car door before committing to a size. When you want your car back on the weekend you can simply just remove them.